On Monday, a California state appeals court handed down its decision in a pivotal lawsuit that could have significant effects on Yelp’s business and anonymous speech online in general. The court determined that Yelp will have to turn over documents that could identify an anonymous user who is accused of defaming an accountant in a review posted on its website. Montagna has said he believes this user to be a woman named Sarah J. Nunis. He claims that he quoted Nunis a price of $200 for his services based on the understanding that “that her income was comprised exclusively of wages reported on a W-2 form, and she would require only a simple return.” When it turned out that her return was more complicated, Montagna claims that he raised the price to $400. The two parties have disputed the amount due ever since. The issue is that for Montagna to properly prove that he is being defamed, he needs to know for certain who is making the accusations against him—which is where the case gets buried in finer points of legalese. A lower court previously determined that not only does Yelp have to turn over documents that might identify Alex M., but also that the company didn’t have the proper legal standing to assert First Amendment rights to free speech on the user’s behalf. It’s easy to see why companies like Reddit and Twitter didn’t want this kind of dangerous precedent to move forward. Not only would it be burdensome to constantly comply with every request for de-anonymizing a user who could potentially be making a false statement, but if users don’t feel comfortable being honest, they will likely stop contributing to the platform or go to a competitor that offers better protections for anonymity. Furthermore, the EFF wrote that if sites lacked the standing to assert users’ free speech rights, “defense of these vexatious requests will fall solely to users themselves, many of whom may not know their rights or may otherwise not be in a position to fight for them.” The idea here is that large platforms with proper legal representation are in a better position to understand and defend legal protections. The appeals court’s decision on Monday was mostly bad news for Yelp, but it did provide one positive outcome. 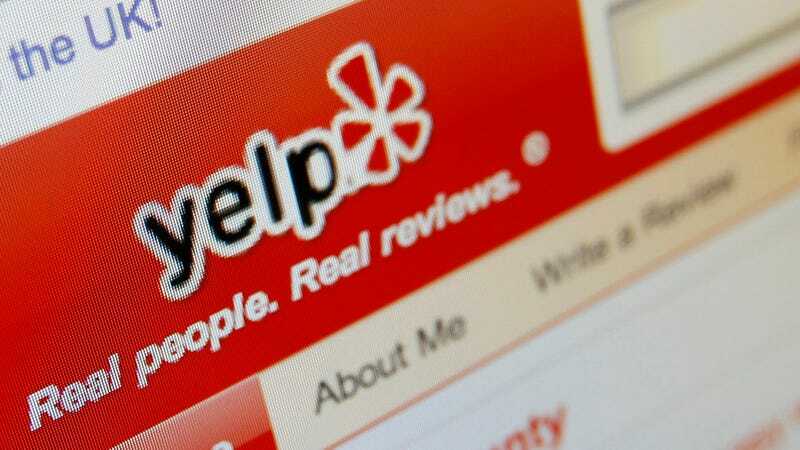 The court determined that Yelp and sites like it do have the standing to assert First Amendment rights on behalf of their users, but the company will still have to turn over documents that could expose this user’s identity because Montagna has shown evidence that the review was defamatory until proven otherwise. In other words, Alex M. will need to prove that their statements were true now that Montagna has reasonably shown that they might be false. For activists like the EFF, this decision could still be considered a victory because the court confirmed Yelp’s right to claim First Amendment protections for its users. That was certainly the most problematic part of the case. But for Yelp, or Google, or Facebook, all companies that are offering review services, the outcome is complicated. On the one hand, users might feel uncomfortable openly expressing themselves in the future. A user could hope to state an opinion but fear it could be misconstrued as defamatory. On the other hand, the services might be more useful if reviewers were a little more thoughtful when they weigh-in. The fact is this case raises another issue in that the public may be relying on the feedback from review sites so heavily that a handful of trolls can ruin a business. Unfortunately, the legal system can do very little to force the public to start treating online reviews with a little more skepticism. The good news is this lawsuit doesn’t necessarily set a precedent that will be applied across the board. The case law cited in the decision states that it’s up to the court to resolve the situation when there is “a conflict between a plaintiff’s right to employ the judicial process to discover the identity of an allegedly libelous speaker and the speaker’s First Amendment right to remain anonymous.” So, for now, it appears that this kind of unmasking of anonymous users will be taken up on a case-by-case basis. Gizmodo has contacted Yelp for a statement on the court’s ruling and we’ll update this post when we receive a reply.